TSA Fall Leadership Conference a big success! 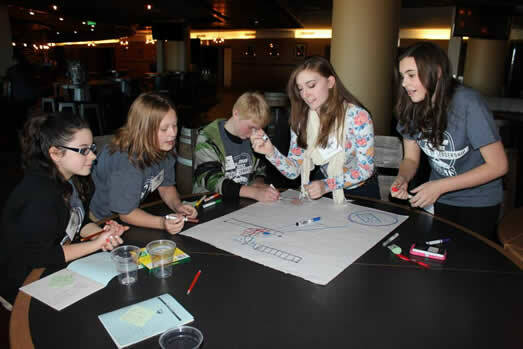 The 2014 Colorado TSA Fall Leadership Conference held on November 21, 2014 at Pepsi Center was a big success. 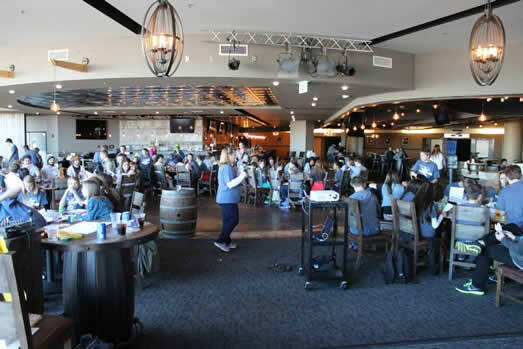 More than 150 of Colorado’s best technology education students worked their way through the Student Leadership Challenge, led by the COTSA State Officer Team and the State Officer Advisor, Dr. Myka Raymond. In addition to a full day of training and leadership development, the students had the opportunity to interact with students from other chapters across the state, tour the Pepsi Center, and even take in a Nuggets game! Some photos from the event are below. For more photos, please click here. COTSA State Officers Kaitlyn Sengenberger, Drew Casner and Hailee Tawzer. 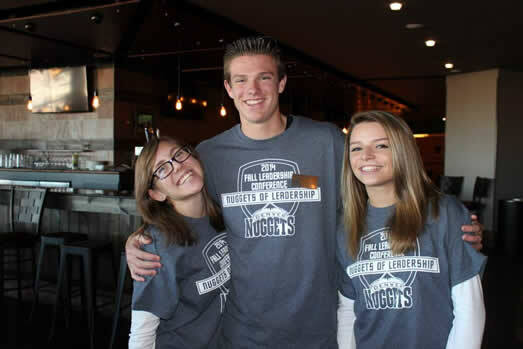 Dr. Myka Raymond (pictured at center), the COTSA State Officer Team Advisor and a national TSA leadership trainer, led more than 150 middle and high school students through the Student Leadership Challenge at Pepsi Center. COTSA State Officer at Large Michael Whittaker (center) works with his group on the Lava Squares activity. 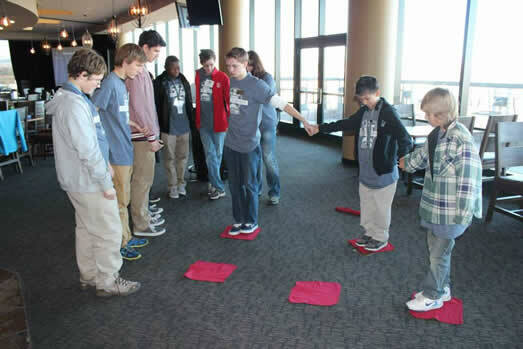 The activity helps develop teamwork and communication skills. Students work through one of the activities focusing on teamwork, consensus building and communication. 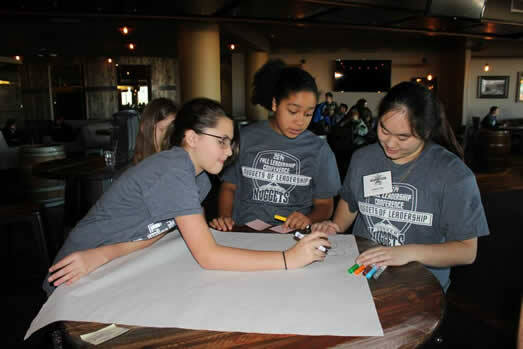 Individual TSA members from various schools work together on a project at the Fall Leadership Conference.